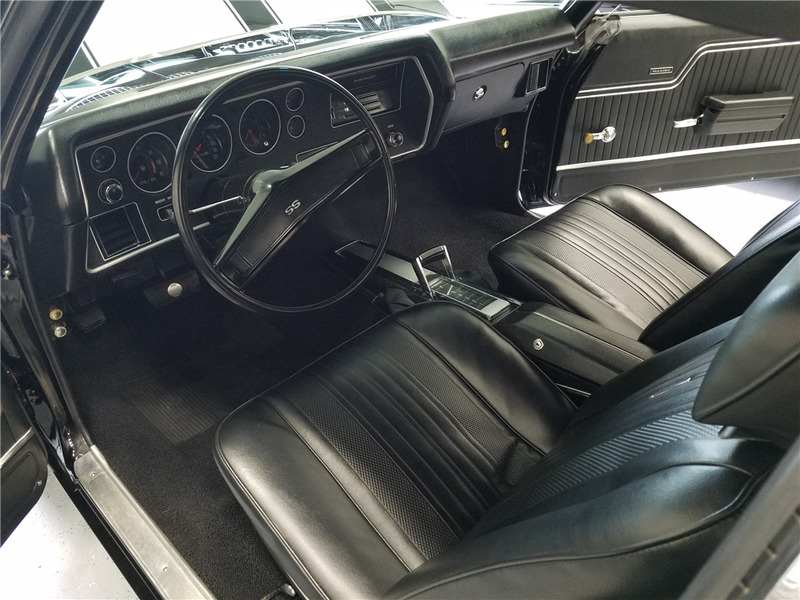 This genuine, factory-produced 1970 Chevrolet Chevelle SS LS6 has been fully restored and finished in its factory shade of Tuxedo Black. It is documented with two full original Build Sheets, title history dating back to 1976 and ownership history. It’s powered by its matching-numbers 454/450hp LS6 engine backed by its matching-numbers TH400 automatic transmission and factory CRW-code posi-traction 4.10 rear end. Always well taken care of. This example has laser-straight body lines and good panel gaps and fitment. The interior, all chrome, trim and stainless also show well. The engine compartment is detailed with a correct dual snorkel air cleaner assembly, GM-labeled hoses, tower clamps, dated plug wires, restoration battery and original smog equipment. The underside is detailed throughout with correct markings, original-style exhaust, resonators and tips. This Chevelle is optioned with bucket seats and console, factory gauge package with tachometer, AM radio and F41 heavy-duty suspension. It comes with photo documentation of important numbers (block, heads, transmission, rear), along with pictures of both its hidden VINs.